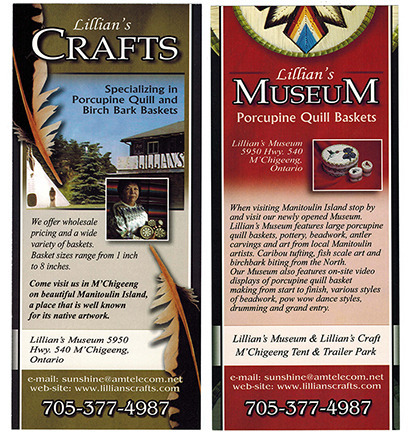 Elinor and Vincent Ostrom purchased native boxes, baskets, pottery, prints, and paintings while on Manitoulin Island by developing ongoing relationships with antique and second-hand store owners living on Manitoulin Island. Several of these business people kept baskets and other art from local artists for Elinor and Vincent to purchase when they visited in the summer. Elinor and Vincent also visited gift shops, trading posts, and “craft tents” to purchase porcupine quill boxes more directly from artists.